Changes: Improvement - Improved the compatibility for some SFTP client software. Fixed a bug - Can not upload 1GB+ file with some SFTP client software. Wing FTP Software is pleased to announce that it has released its most updated software, Wing FTP Server 3.6.6. The revised edition features a cross platform and a new set of advanced tools. The trial version of Wing FTP Server can be freely distributed over the Internet in an unchanged form. 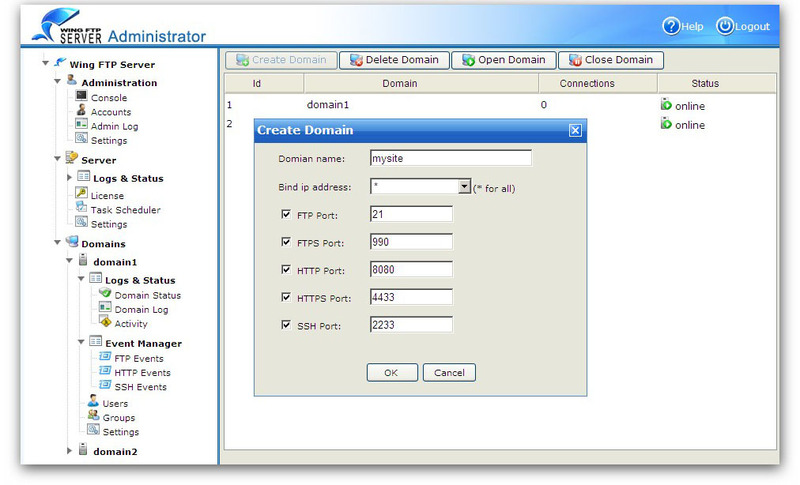 Development: Wing FTP Server. Web : https://www.wftpserver.com/ Email : support@wftpserver.com -------------------------------------------- END-USER LICENSE AGREEMENT FOR THIS SOFTWARE IMPORTANT - READ CAREFULLY: -------------------------------------------- This End-User License Agreement ("EULA") is a legal agreement between you (either an individual or a single entity) and the mentioned author of this Software for the software product identified above, which includes computer software and may include associated media, printed materials, and "online" or electronic documentation ("SOFTWARE PRODUCT").